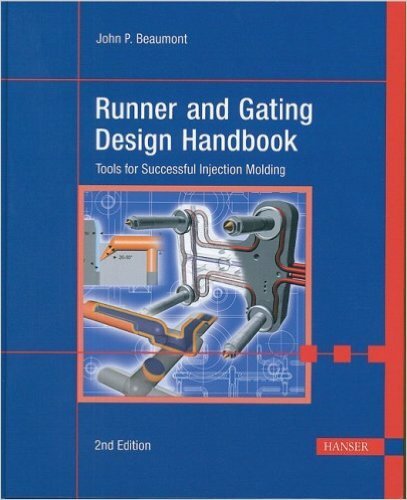 Runner and Gating Design Handbook – Tools for Successful Injection Molding %%sep% Beaumont Technologies, Inc.
For the first time, both the art and the science of designing runners and gates are presented in a concise format. Tried and true runner and gating design techniques successfully used with various materials and molding applications are described together with cutting-edge new technologies. This handbook helps determine the optimum design, when to use what type of runner systems, and how to isolate molding problems generated from the gate and runner vs. other molding issues. Full-color 3-D graphics, illustrations and photographs as well as charts, checklists, troubleshooting guides, and contributions from the industry’s leading expert, John Bozzelli, complete this handbook.